Bloggers everywhere have chosen to use Blogger.com because it is free and easy to use. Just because bloggers have chosen an inexpensive route to publishing their thoughts on every subject under the sun doesn't mean they want to look cheap. Choosing to give a blog a unique appearance will boost reader interest and attention. To bring a new look and new life to your blog doesn't require either cash or high tech computer designing skills, thanks to these nine free and practical resources. For the blogger who is an amateur with templates, Isnaini Blogger-templates is a great place to start. Besides offering 71 different templates, the focus of the site is to teach bloggers how to effortlessly upload their template of choice with an easy to follow tutorial. BTemplates offers over 600 choices of stylized, themed templates. Finding the perfect template is easy, with six different ways to narrow the search. If the aesthetic aspect is most important, browse by color and style. If practical layout points are more important, look by column number, right or left sidebar position and a fluid or fixed width. The templates can also be browsed by their popularity. At Gecko And Fly , you can choose from a wide variety of templates. Most of them focus on classic, professional simplicity, but more fun styles are also available. You will also find tutorials on how to tweak, personalize and update the appearance of your blog further, among a great list of other computer related tutorials. Browse, improve and enjoy! If you want something interesting, unique and exciting, take a look at AllBlogTools . An estimated 2000 templates are available from many different designers. Styles range from professional and classic to cute seasonal styles to bright and exciting trendy looks. Since each designer has different tastes and skills, there is a template for every blogger. FinalSense makes it easy to bring a new look to your personal blog. Choose from more than 300 different templates in every color scheme and theme imaginable. If you have something specific in mind, browse the template choices by the available categories, from multiple columns to architecture to sports to nature to classics. BloggerTheme brings you lots of different choices for lots of different needs. Each look is very distinct and personal, giving your blog a tailored look. Templates are offered for other blogging platforms as well, so make sure the style you pick is designed for a blogger.com or blogspot.com based blog. 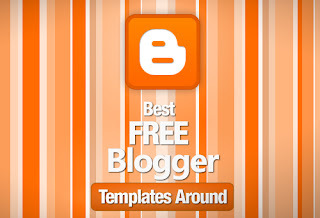 FreeBlogger-Templates offers a few beautiful templates. Mostly nature inspired, these templates have a main focus of providing an easy to read look to your blog. Though practical, they are stunningly gorgeous as well. Look in the archives for more options. Instead of having a goal of a huge selection, BloggerTemplates focuses on keeping up to date a small number of high quality templates that are fresh and personal. A few other tips are available, like how to display a video on your blog at a desired size. If columns are important, check out 5ColumnTemplate . While there is only one template, it comes in five variations with colors and column size shaken up a little. Don't be put off be the basic appearance of the site. Five columns are incredibly useful and not too difficult to manage. You can change your fonts to something more professional as well. No matter where you discover your new template or which style you choose, enjoy the discovery process. Credit your source and share what you learn with fellow bloggers. Since the templates are given free of charge, pass what you have gained on to others. Whether you are a personal blogger with a small following of family and friends or write for your business and have a large readership, give your audience a little fun every couple months by updating the appearance of your blog. Keep your blog fresh, both in looks and your writing!